If you are just starting your business or your company has expanded enough to need an office space, you will need office supplies. However, many new business owners become overwhelmed when choosing supplies and end up purchasing far more than they need. Rees Office Products has been Winchester, KY’s premier office supply store for over 30 years. 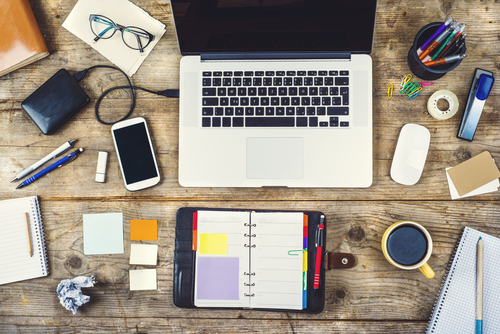 Their experienced staff narrows down the top five office supplies every business needs. Paper: Although many businesses are cutting back on the use of paper to minimize their carbon footprint, hard copies of office memos, invoices, and other forms of documentation are still preferred in most industries. Keep several reams of paper on hand in case you need to make copies. Stationery: Even if your office does not use mail often, you may still need envelopes and stamps to send letters to clients, request invoices, or mail checks. Filing and Organization Supplies: Proper filing and record keeping can help to protect your business against auditing and other conflicts. Ensure that your employees have the right tools to maintain these records by purchasing filing cabinets, folders, tabs, and more. Furniture: Although it seems like a given, ensuring that you have the right office furniture is also instrumental to the success of your business. Consider the layout you want for your office: do you prefer cubicles or a conference room environment? If your employees spend a substantial amount of time in front of a computer, are their chairs comfortable? Are you forgoing chairs for standing desks? Will your clients be visiting your office, and if so, do you have an area for guests? Basic Desk Supplies: There are many supplies that get used on a daily basis that you might take for granted until they have run out. Make sure you and your employees have everything you need by stockpiling pens, pencils, sticky notes, staples, scotch tape, and more. Rees Office Products carries all of the office supplies listed above and more. To browse their selection or to order supplies for your business, visit their website or call (859) 744-4785 today.